It is a FDA Approved portable Monitoring device that Measures Blood Oxygen, Saturation and Pulse Rate. Whether you're an athlete on the go, or a pilot in the air, the Oximeter is perfect for anyone interested in monitoring their blood oxygen level and pulse rate. Help prevent high altitude sickness ("hypoxia") while you're in the air, climbing, or hiking. The Oximeter lets you spot check everywhere you go. That's why the Oximeter is the most cost effective way to have your oxygen saturation and heart rate monitored. Plus, its small size makes it easy to carry around in your pocket or around your neck with the included lanyard. The Oximeter is not a medical device and is not labeled for such use. No prescription is required from physician. This finger pulse oximeter was approved by the FDA and Medical CE certified, is designed to provide an economical and accurate way to measure oxygen saturation levels in the blood and pulse rate. This oximeter helps physicians, nurses, patients, athletes, and pilots to obtain accurate oxygen saturation readings in a fast. Its small size makes it very easy to transport, includes a soft case for protection (available optional hard shell case for better protection). Its simple operation allows for easy on-off action with a single button). Your health and satisfaction are very important to us. Please click here to learn how we handle quality control to meet your expectations. Please note that your doctor or healthcare provider is the best source for your Treatment Plan. This unit is not intended or planned for you to replace a doctor's visit or for your own self-diagnosis. 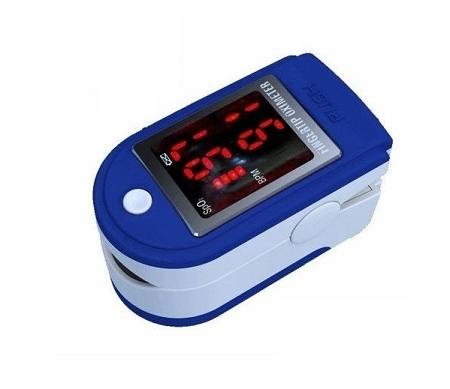 This Pulse Oximeter is a compact, light weighted device, designed for on the go spot checking of vital signs (blood O2 saturation & pulse rate), in a simple non-invasive procedure. By simply clipping the device to the finger, users can receive a SpO2 and pulse reading, within seconds. 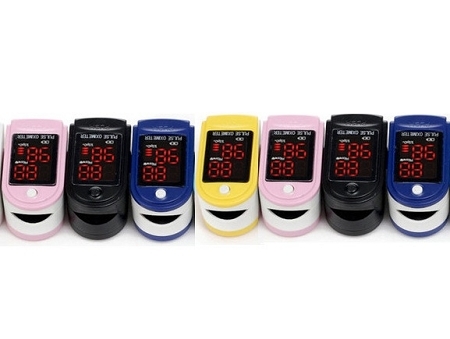 The Pulse Oximeter answers a wide range of needs and serves various roles in the medical and recreational fields. Dependable oxygen level and pulse rate measurements for your daily needs Simple operation; Small and lightweight design; Portable Display shows oxygen saturation and pulse rate. Low power consumption on two AAA batteries. Battery Working Hour: The minimum continually work time is 24 hours, theoretical number is 56 hours.